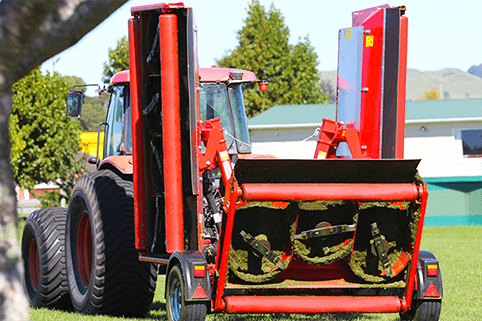 Building on 15 years' of Pegasus innovation, we’ve spent the last 12 months in R&D innovating how to make mowing more efficient. 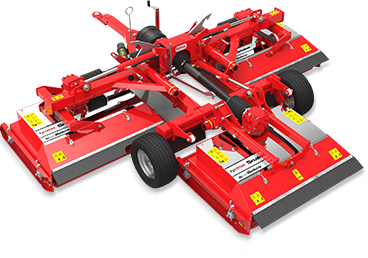 The result – the new Pegasus Series 4 mower offering 15% less grease points and an incredible 35% less in maintenance costs. 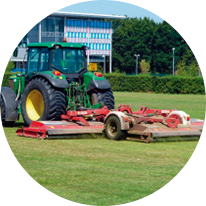 After 15 years leading the market Pegasus has established itself as the benchmark in wide-area mowing for parks, reserves, airports, racetracks, sport fields and turf farms. 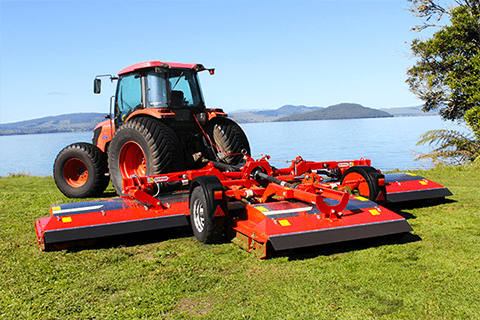 Available in 16′ and 20′ widths the Pegasus S4 is our latest exceptionally low-maintenance trailed rotary mower. With the number of grease points reduced and the introduction of our new sealed, maintenance free spindles, maintenance costs have never been so low! 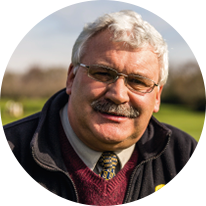 Find out for yourself and book a demonstration of the Pegasus S4 today. 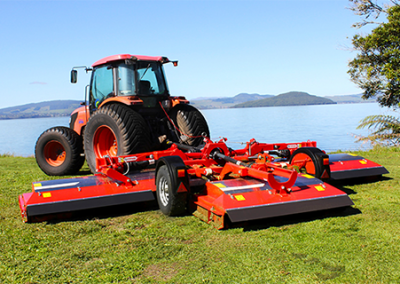 The Quattro Blade System adds 2 more blades to each spindle (2 flat & 2 upturned) for a finer cut on warm season grasses. 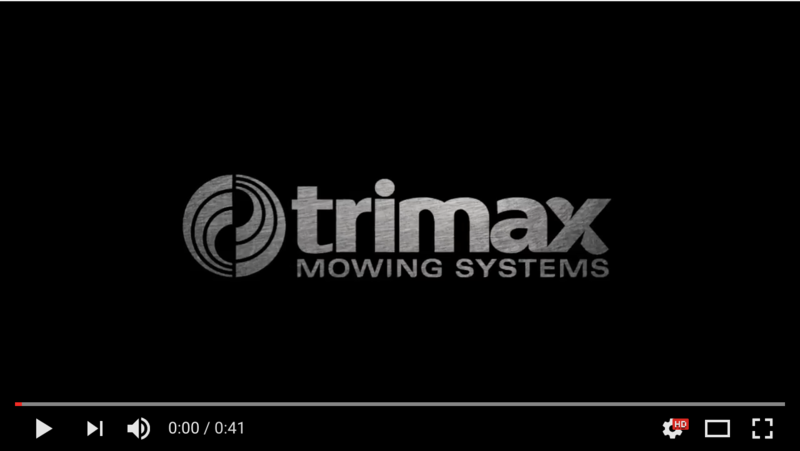 Trimax Turf Tyres help distribute the weight of the mower for less ground disturbance. 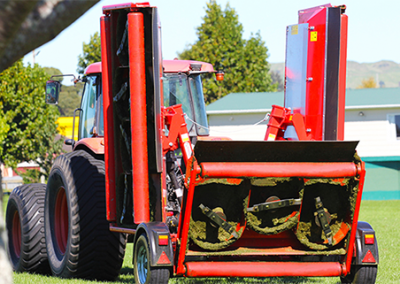 Recommended for Turf Farms or fine turf applications. 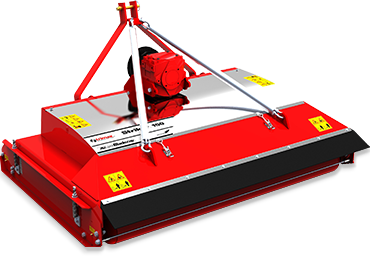 Ideal for high speed mowing, the Anti-Bounce Skids reduce the ‘scalping’ effect when mowing on turf which is not smooth. Helps to ease the mower over humps between the front and rear rollers. Hot-Dip Galvanising provides added protection against corrosion in coastal environments with high salt concentrations and applications with high fertiliser usage. 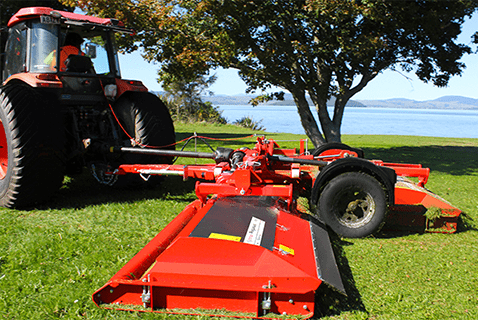 enables all three mower decks to be raised just off the ground without disengaging the PTO. 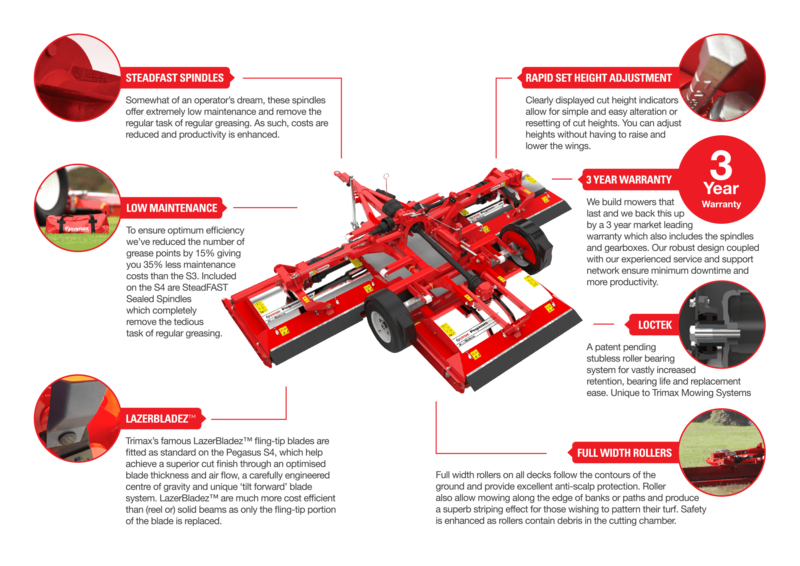 This improves productivity by allowing the mower to traverse gravel driveways, paths and helps produce effective striping when turning. 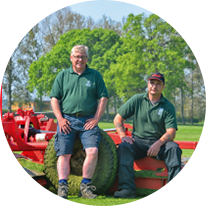 "The machines are in use 10 hours a day 5-6 days a week… We are very pleased with these mowers; the quality of cut is great & reliability has been outstanding. 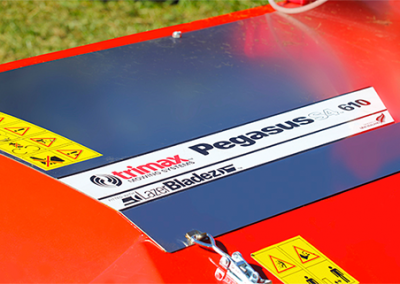 We've just ordered a 4th Trimax Pegasus to add to the fleet!"
Interested in the Trimax Pegasus S4 or require more product information? 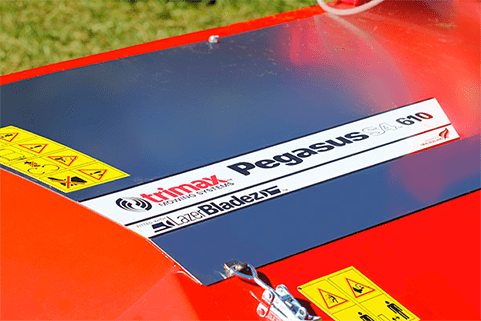 Not sure if the Trimax Pegasus S4 is the right mower for your application? 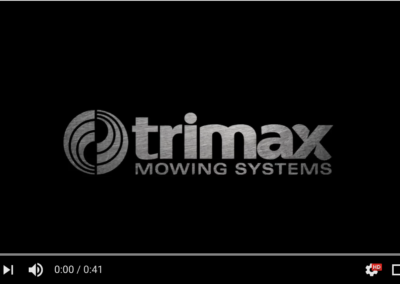 We love to connect with our global Trimax family as we collaborate together to create incredible and innovative mowing solutions. If you have a story, idea, picture or anything you think is interesting then we’d love to hear from you. If you haven’t already connected with us on social media, you can do so via the links above. 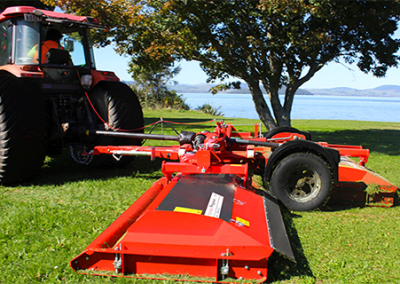 Join our Facebook Page and interact with mowing experts from all over the world!